Thank you for your review and for choosing TransferMate. We are delighted that you found our service helpful. I hope you will keep us in mind in the future. Incredible service, my bank tried to charge me 40 euro to send a payment to china, less than 50k. You dont get hit with receiver fees with these guys?? I dont know how they do it, but it's true! 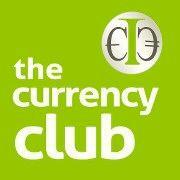 Great service, Great Rates & Saving me an absolute fortune with my payments to US, UK, Canada & Australia. Pretty much a same day transfer to any country I deal with. If you want to save money..........Use TransferMate!!!!!!!!!!! Thank you for your review and for choosing our service. We are delighted that you found our service helpful. I have just used TransferMate for the first time. They transfered from Ire to the UK same day & I received a confirmation by email to let me know funds have arrived safely. Customer service was great, but I am just setting myself on the online system, another great feature. These guys are really giving the banks a run for their money! It has been 1 week and half since i transfered my money and i still have nothing on my account!!! because of the documents i had to send it took another week and that make me miss the interesting exchange rate. I hope the money will still come as it is a big amount for me. I used Transfermate after having been reassured that there would be no hidden charges on the transfer other than the £10 payable upfront. I found that the final amount deposited in my account was $10 short of the deal amount. My bank assured me that that is the amount they received from Transfermate. 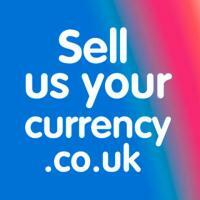 Ive used transfermate to send money to the US and to Canada. My bank in the US charges a receiver fee, my canadian bank does not. Very easy to deal with. Did all from my computer in work, transfer landed in uk same day. Ive used TransferMate and found them brilliant. I needed money sent over from the US from Etrade which was a pain in the neck as Etrades exchange rates were terrible. Thank you for your review and for choosing TransferMate We are delighted that you found our service helpful. Transfer took just 1 day from uk to Australia. Staff were great, gave me great advice and their rate beat my bank by over £700 Had to send identification by fax which wasnt really a big deal.